Speaking at the ‘J20’ Conference at Argentina, Supreme Court judge, Justice SA Bobde called for stronger laws for assessing environmental impact of new technology products. “We must, undoubtedly be conscious of the fact that the advancement of technology cannot and could not be inhibited. But that does not mean it should not be assessed for harm before and while it is being used. In fact, what was witnessed at tragedies like Chernobyl, Exxon Valdez Oil Spill, Bhopal Gas Tragedy etc, suggest that some environmental disasters can even be classified ‘ecocides’ -i.e. the killing of environment and should be incorporated in international and municipal laws,” he said. J20 is the judicial conference of the highest courts of the G20, and was held in Buenos Aires on 8th, 9th and 10th October 2018. The theme of the conference was ‘Building Consensus for fair and sustainable development’, and it sought to analyse, from a judicial point of view, the topics of development, fairness and sustainability, which are at the forefront of the G20 agenda. Justic Bobde participated in the conference representing India. Speaking on the topic, ‘Towards Sustainable Development’, Justice Bobde suggested that a fresh look be taken at the concept of Gross Domestic Product (GDP), as it fails to factor in several aspects, including the environment. “For instance, if the Amazon rainforests were to be cut down and dug up in name of development, the GDP would reflect the trillions of dollars gained from Natural Capital like trees and rivers, but would not have factored in the loss due to destruction of ecology. Pollutants, loss of green cover and their impact are determinants to calculate loss in the natural capital. In the process of development, if loss of Natural Capital were to be accounted for, many activities might prove to be loss-ventures,” he explained. Justice Bobde then cited the example from Bhutan, which looks at “Gross National Happiness” instead, “implying that sustainable development takes precedence over mere economic development”. 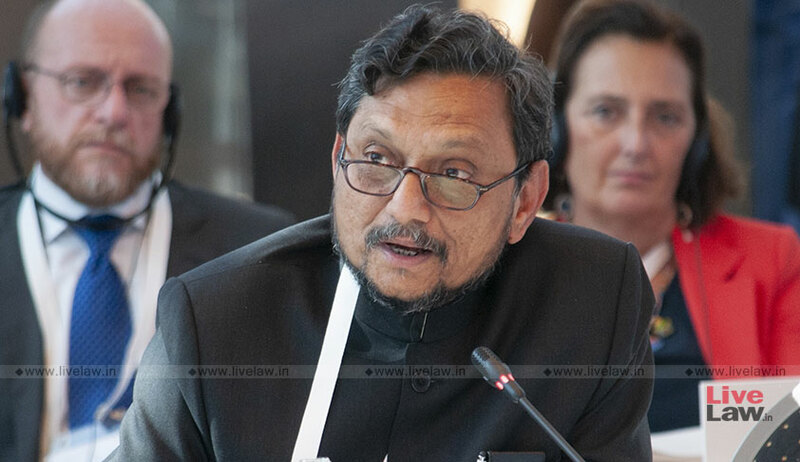 With regard to judicial control over sustainable development in India, he said that a significant step taken was the decision to include in the fundamental right to life and liberty, the principles of sustainable development, precautionary and polluter pays principles, principle of intergenerational equity and the doctrine of public trust. He also lauded the Uttarakhand High Court judgment which had recognized the legal personality of a river and had held an action by it maintainable through a next friend, to obtain relief. Justice Bobde, however, asserted that a fundamental limit over the judicial reach of environmental issues is the complete lack of control over the development or introduction of a new technology that might eventually prove harmful. He said that the only possible way of preventing a new technology or process from irreversibly damaging the environment is the employment of compulsory checks before it is introduced. This, he said, can be best done by the already existing legal mechanisms, involving use of scientific assessment methods, particularly, Life Cycle Assessment. Justice Bobde then suggested setting up of a commission or a tribunal comprising of environmental experts from the member-states which manufacture or trade in a particular commodity. The permission could then be granted unconditionally or on certain terms, he added. The highest Courts of the G20 members and the highest courts of Spain, Chile and the Netherlands participated in the J20 meeting. The participants also included the highest courts of the countries that currently preside over the Caribbean Community (Jamaica), ASEAN (Singapore), the African Union (Rwanda) and NEPAD (Senegal). In addition, the conference saw presence of the international tribunals of the associated International Organizations of the G20, including the United Nations (International Court of Justice), the African Union (African Court of Human and Peoples' Rights) and the Caribbean Community (Caribbean Court of Justice).